It is summer time and some are blessed with time to slow down, rest, reassess and put in place plans for a new start. While hopefully others, who must try to live gently season to season in the present moment of things, are enjoying whatever summer brings about. 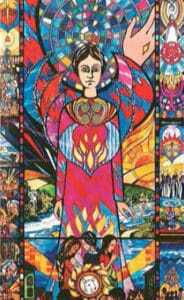 We are half way through this year of celebration of the tercentenary of Nano Nagle’s birth in 1718. I have found myself needing to read and re-read when I can in these days, anything near at hand that has been written about Nano, as it is possible to forget in her ‘venerability’ (somehow this can easily happen around Saints) that she was born into a family challenged by the historic circumstance of Penal times, who walked physically on this earth and lived a life of joys, sorrows and inspiration. But what is that ‘something more’ she saw and brought to this life equation? There have been moments in this summer, aware of challenge and suffering around us, during which I have been forced to ask: ‘But what would you do Nano?’ No mistake that the question is in present tense, because it is clear from the celebratory events already shared, that Nano’s legacy renders her alive and well in the hands and hearts of those who ‘know’ her way of life. Nano’s family and life experience made her who she was. But in reading a piece written by Mary T. O’Brien pbvm, in the book ‘Nano Nagle and an Evolving Charism’ – I found a secret transformative ingredient that is not often spoken about, and that is ‘zeal’. ‘..zeal is the very antithesis of lukewarmness. There is fire in it, and passion and divine burning power. […] In ancient Graeco-Roman literature, it carries the notion of single-minded concern for the good of the other, as well as the constant call to something better, something more beneficial, something perhaps hitherto untried. In classical literature, it is linked to courage, to emulation, to pioneering and to crossing frontiers’. This is the Nano I know of, not just from reading, but from my daily contact with those who continue to take ‘Nano’s lantern flame’ to every dark corner of human contact that calls for light. ‘She (Nano) does not speak of a blinding light such as Paul experienced on the road to Damascus. 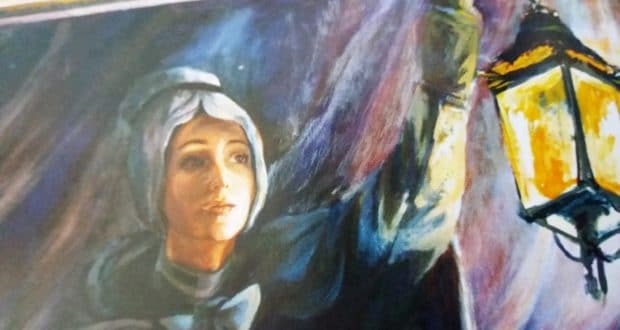 But one way or another, under God, a spark of that zeal which would consume her for the rest of her life was set alight, and she responded with immense courage and trust’. […] ‘even at an early stage of her life Nano’s zeal was taking on the face of compassion’. May that zeal of compassion be ours. Extract: Text quotes in bold are from ‘ ‘Zeal’ in the Writings and Life of St. Paul and of Nano Nagle’, by Mary T. O’Brien, PBVM in ‘Nano Nagle and An Evolving Charism’ edited by Bernadette Flanagan, Mary T O’Brien and Anne M. O’Leary.